Marley Coffee One Love coffee beans is a coffee with a big heart. the blend is roasted with 100% Ethiopia Yirgacheffe beans. Ethiopia is the birthplace of coffee and also has strong links to Marley. 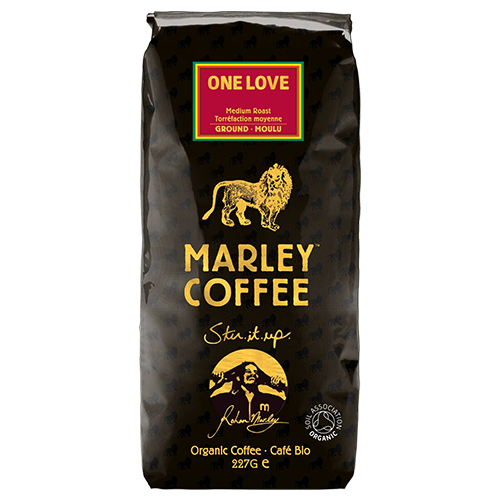 Marley Coffee One Love is very tasty and you can clearly feel the notes of exotic flowers and berries. Brew yourself an extra cup and "Let's get together and feel all right." This coffee is 100% organic.